Last weekend we decided to kick off our first weekend in Montana with a big day in the backcountry. The plan was to hike / run with Hilde from from the Sentinel Creek trailhead up to the top of Echo Peak. SummitPost said it was about 11 miles one way, but Will calculated only 8 on CalTopo. Since we weren’t exactly sure what we were getting into, we knew that we’d need to consider a change of plans if things turned out differently than we expected. The first surprise was the abundance of trucks and horse trailers at the trailhead. The town of West Yellowstone is almost completely shut down for winter (population drops from over 5,000 in summer to around 1,200 in winter!) but apparently there is no shortage of people nearby with hunting season in full swing. You would be hard pressed to find this many cars on the main road in town at this time of year! We were a little disappointed in the condition of the trails – horse hooves can really do a number on soft, wet dirt; especially when there are so many of them! The first few miles of the hike were steep, but super enjoyable. Once we got up around 9,000ft, snow started appearing in small drifts around our feet. Hilde was STOKED and had a great time frolicking in the drifts. As we neared Echo Peak the snow got deeper, nearing 6” in places. Because of the northeastern aspect (meaning that the slope we would walk up faced north-east) our approach was holding a lot more snow than we anticipated. Echo Peak, right in the middle. Check out the difference in standing snow from the northeastern aspect (left) to the southern aspect on the right. We decided to abandon our summit plans, for now. With both of us in trail runners (not waterproof!) and possible weather on the way, it wasn’t a good idea to continue into the snow. Instead, we decided to head up to Expedition Pass, which we could see just up the valley. We sat here to discuss our plans and refuel with some tuna and snickers. We really felt the cooler alpine temps once we stopped moving! Expedition Pass is the low point in the distance, just to the left of Hilde’s head. The hike over to Expedition was pretty easy, as what looked like dozens of Elk (droppings everywhere!) had made us a nice, packed path to follow. We reached the pass and enjoyed spectacular views from both sides. Of course, Hilde thought we should continue on (in any direction) and expressed her interest by sprinting every which way: down the other side, up towards the summit of Sentinel Peak… regular runs and cold temperatures have turned her into a monster! Climbing up to the top. Well, are you coming or what? Are you sure we can’t go up there? This is a dog in her element! To Hilde’s dismay, we turned around and headed home rather quickly. It’s chilly up there on those mountain passes! All in all, we didn’t accomplish our big goal, but we did have a great day and learned some valuable lessons about weather here in Montana. I can’t wait for “real winter” to arrive! 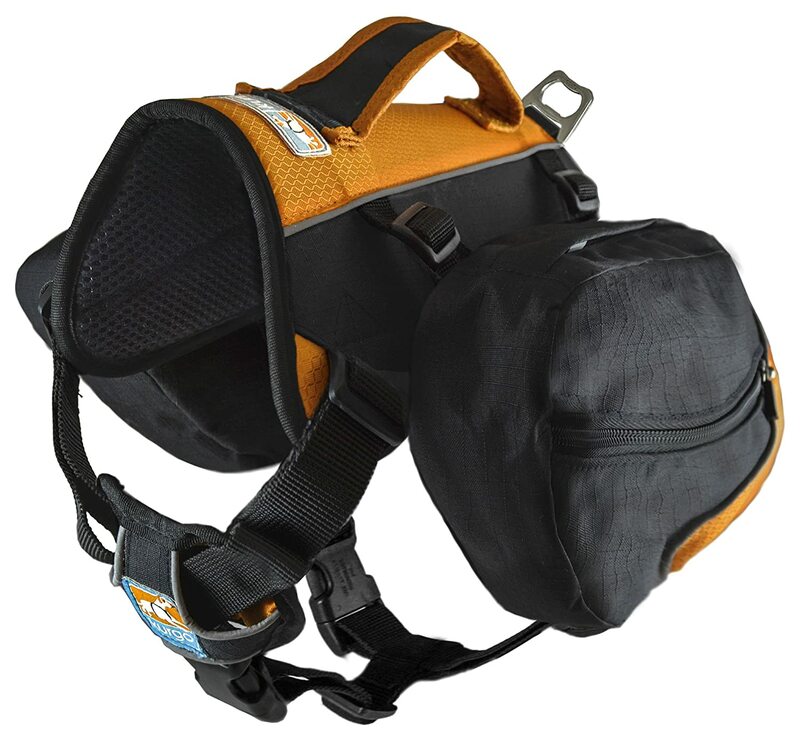 Hiking with dogs requires a lot of extra gear! Hilde carries her leash, poop bags, snacks, & water bowl. 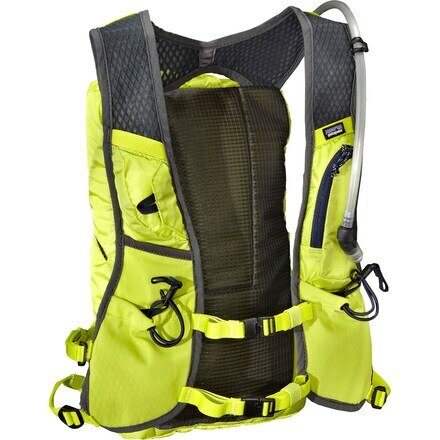 This pack has quickly become our go-to daypack for all activities! Plenty of room for all the essentials, but low profile enough to run with. 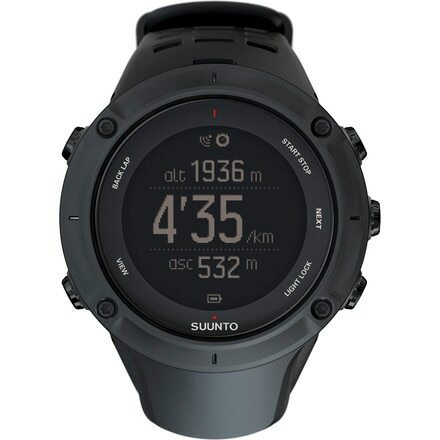 We both use Suunto watches (Ambit 2S for Alyssa, Ambit Peak 3 for Will) to track all of our adventures in the backcountry.